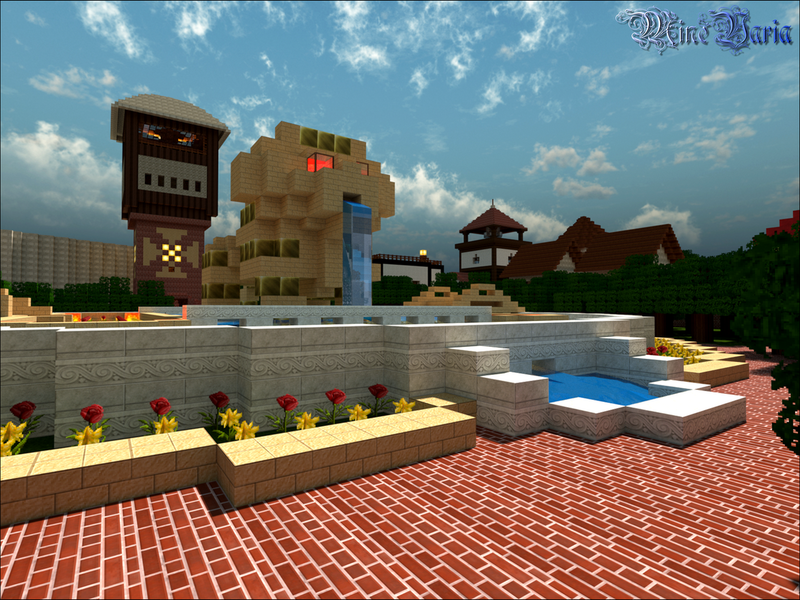 Minechen is the oldest city of Minevaria and the first one you'll catch sight of upon entering the kingdom for the first time. The main street, called Ĉefstrato, leads from the one gate through the castle in the middle of the inner city to the other gate. 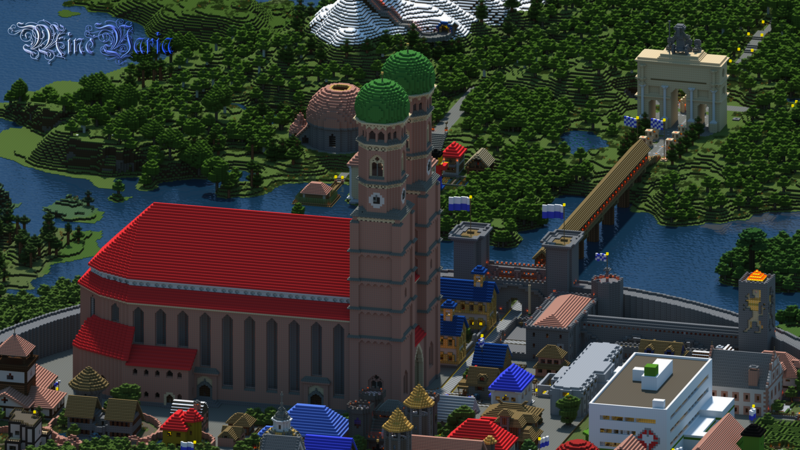 The world is changing and so is Minevaria's first city. Since the laying of the first stone, the cityscape has changed a few times but has always been dominated by the Cathedral of Our Dear Lady. The cathedral as well as the Residence of Minechen are located in the south-east. West of the main street, there are barracks, a sanatorium and a residential quarter. In the north-west, there's a theater, the church St. Vitus, and the legendary tocce. To the east, there's the Supreme Court of Justice, the baroque post office and the district of Leonsferoj. Aliabordo (from eo. "la alia bordo", the other bank/shore) is situated south of the city walls and the Aliabordo Bridge over the Minechen Channel. The Siegestor (ger. 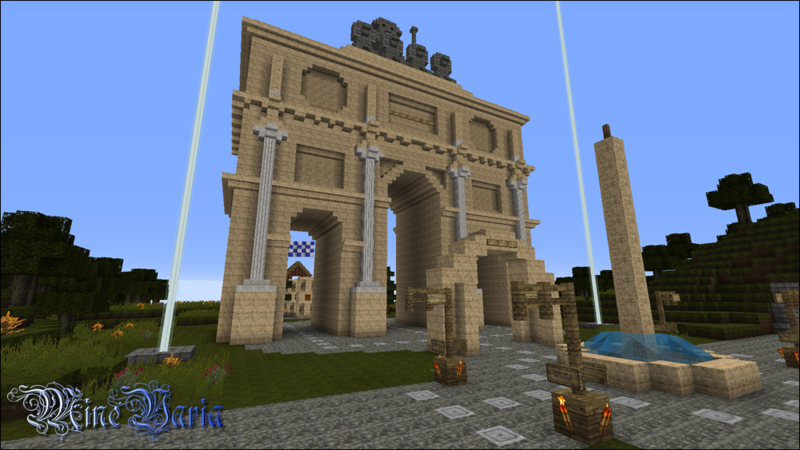 "victory gate") is the last building before the city ends at the Placo de Aliabordo (eo. Aliabordo Square) which marks the southern end of the Ĉefstrato and the beginning of roads to Karolswiesen, Cordonshofen and Weizenhof. Under the Siegestor, there's a metro station of the line SF-1. Haveno is Minechen's harbor. It's located on an island south-west of the city walls and west of the Aliabordo Bridge. The metro and a tunnel to Weizenhof connect the district to the mainland. Haveno can rightly be considered the city's gateway to the world. There are a transshipment point, a warehouse, and a market. In the event of an attack, the cannons of the fort are always ready to fire. Leonsferoj (eo. "lion spheres") is a district in the south-west of the inner city. 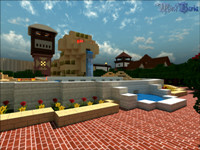 The lots are circles around the centrally located park with the district's landmark: the Minevarian Lion. The subterranean part of Leonsferoj is referred to as Subtero and connects the district to the subway.